On Sunday it was my Late Grampy's birthday so I thought it only fitting to feature a picture of him here today. 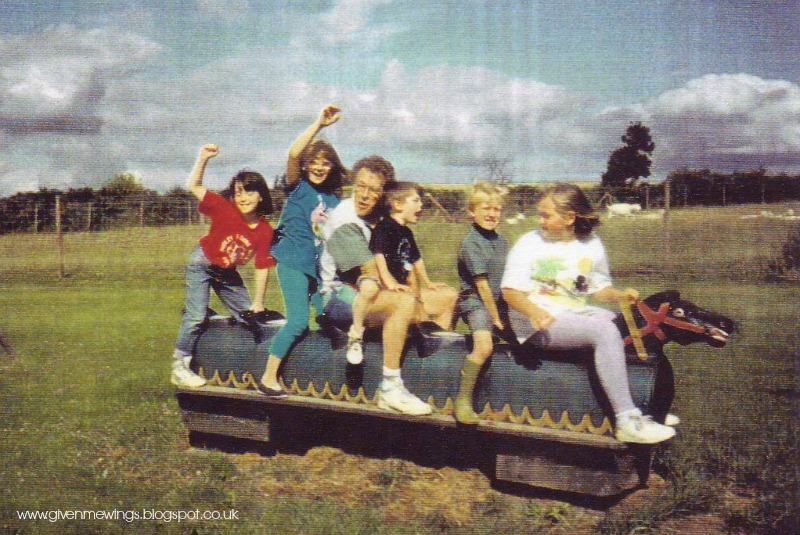 This was one of our many caravan holidays with our families. we have from the back of the horse to the front My Cousin Lindsey, Sister Jennie, Gramps, Cousin Rich AKA Little Rich, Brother Tom and me rocking Lilac Leggings!!! Anyone remember these Playground horse rockers I loved them. Omg, I haven't seen one of these for ages. They probably aren't considered safe anymore. I remember when I was about 17 they got all new stuff in the park where I live and replaced the horse-thing with a zip-wire. Remember those animals on springs as well?